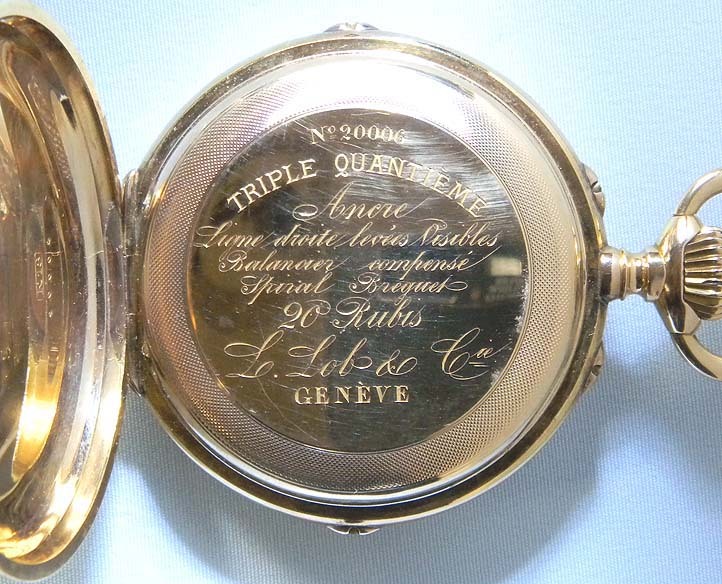 Fine Swiss 18K antique calendar pocket watch by Lob, Geneva, circa 1880. 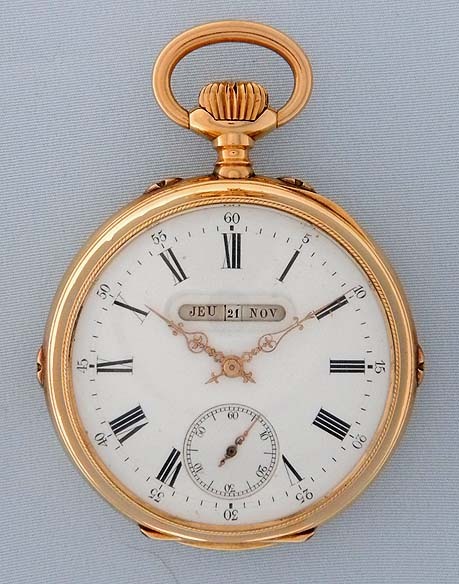 Fine white enamel dial with black markings, fancy gold hands, and apertures for the day, date and month. 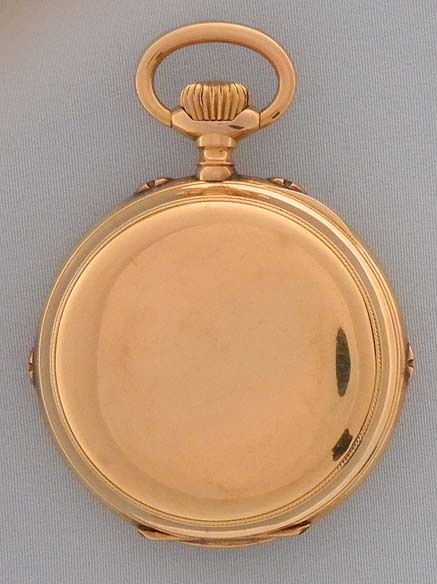 Substantial plain polish case with buttons in the band to set the calendar. 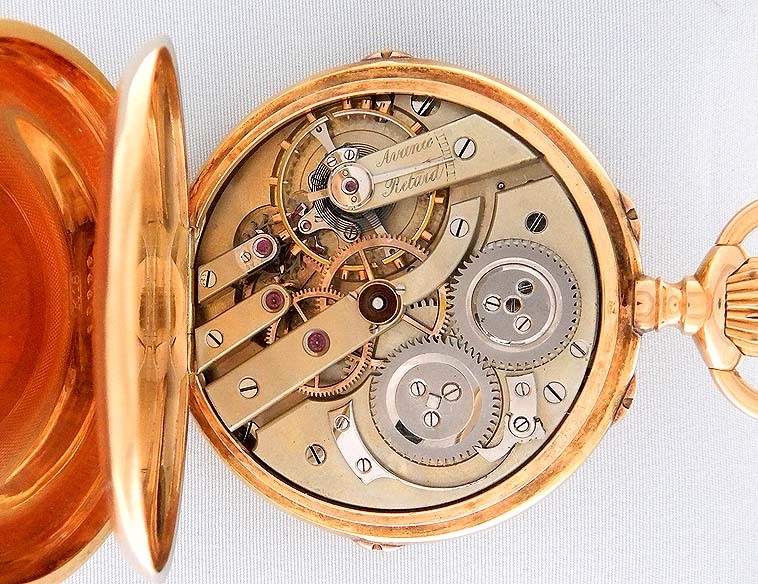 Fine 20 jewel nickel movement with wolf tooth winding. Excellent example.